The Vogue Jewels Awards, amid countless events in the city of Madrid. Black Friday has come and discounts not leave us almost breathe in search of the best bargains but this has not prevented us to analyze every detail of the red carpet of these so luxurious and special prizes. Actress Natalia de Molina opted for a short and asymmetrical black dress with print created from multicolored sequins. The design of Dior is nice but I think that supplements, red bag Bulgari and silver sandals, give it elegance. One of the best dressed of the night was Andrea Pascual with this velvet dress copper color. The golden sandals cannot be more stylish. Long since we’ve seen Amelia Bono at a photocall and the truth is that despite going great has not love me like you do sometimes. This time it has opted for a tuxedo suit with off – white jacket, a blouse in the same tone and a clutch of pink velvet. 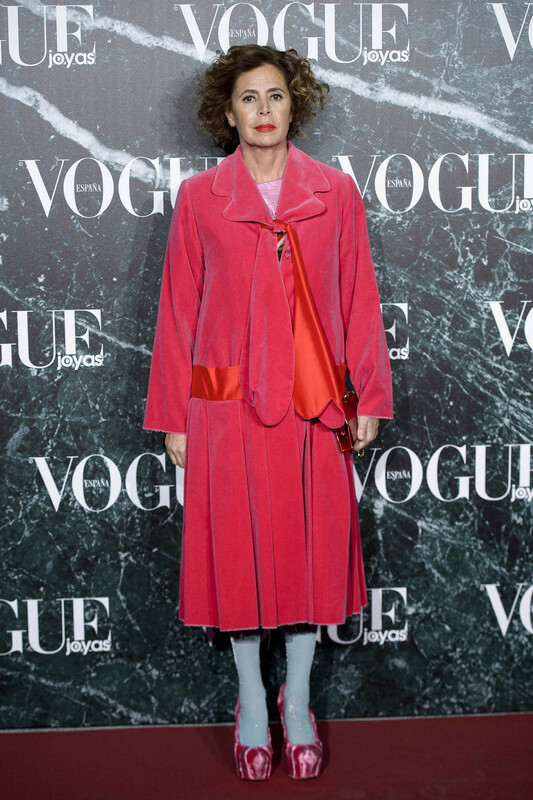 The difficult situation that is going through Agatha Ruiz de la Prada is no reason for her to follow refuge in the color in each of her appearances. With a straight face, she has posed with a red coat with hearts as a loop. Bright blue shoes and socks pink velvet complete a look as … Agatha. 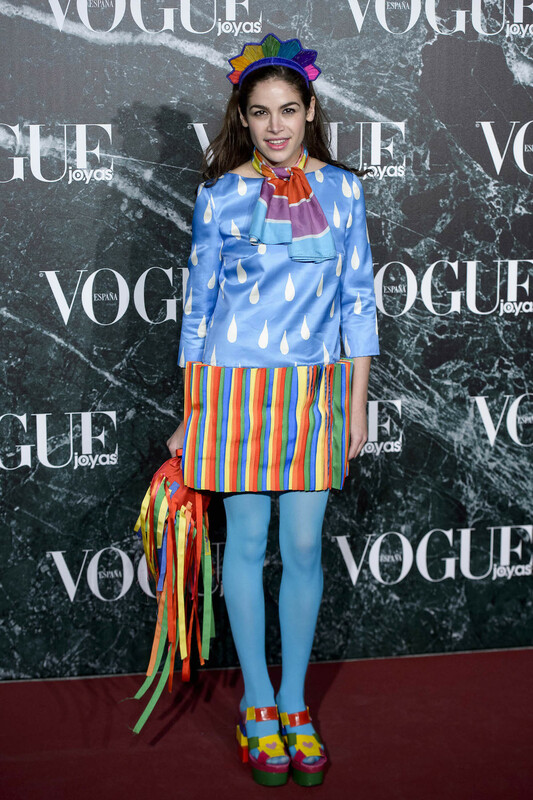 Her daughter Cosima Rámirez follows the steps and this time has opted for a blue dress with white print drops of water and a large rainbow that also looks in supplements. Veronica Echegui has opted for this style dancer dress designer Teresa Helbig Catalan. A dress with a skirt tutu mode with an embroidered body with feathers, me personally not convince me anything. Yolanda Sacristan, director of Vogue, has become to decant by Juan Vidal for some awards. This time she has chosen a nice dress camouflage created with multicolored sequins. Red sandals and black bag, so was this complicated look. Rossy de Palma is unique and it has shown in the photocall of the awards. She has posed with a black total look and a spectacular red coat, a look that despite being neither stylish nor present it does not interpret sublime. The look of Esmeralda Moya bores me quite a red dress with sleeves that remind me of the typical dresses invited selling in stores today. Plug-ins are not anything to write.